A high-performance handset, the Gigaset C300H provides convenient features to match a modern lifestyle. Its large colour display is easy-to-read, and you can choose your favourite look for the display from four possible colour schemes. You can talk as long as you like - whenever you like - with the long talk time of up to 20 hours and long standby time of up to 300 hours. The high-quality materials of the ergonomic keypad make dialling quick and easy. 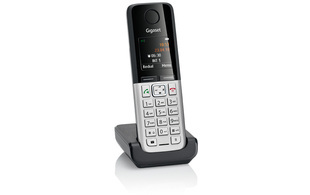 The Gigaset C300H is also an energy-saving, environmentally friendly handset, featuring ECO DECT with no radiation1. 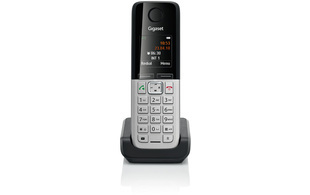 From its contemporary look to its intuitive operability, the Gigaset C300H scores in all categories. Its ergonomic keypad made of high-quality materials makes dialling comfortable. Reading and navigating the menu are convenient, thanks to the 1.7” large colour display with big-sized font. You can choose your favourite look for the Gigaset C300H's display by choosing from four possible colour schemes. Now fully compatible with the N300IP and N300AIP. 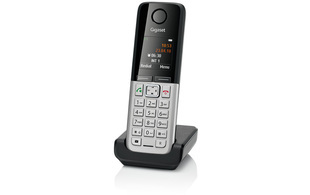 View the Gigaset compatibility chart for more information.